● Aric Almirola started sixth and finished 10th to earn one bonus point. ● The Mobil 1 driver battled a tight-handling condition throughout the stage, noting that he was also losing lateral grip. ● Almirola maintained a top-five spot through the first 28 laps, but after rolling through his box too far on pit road Almirola restarted 17th on lap 29. ● The Mobil 1 driver quickly moved up two spots to break back into the top-15. ● On the final lap of the stage, Almirola made a jump on the restart to gain four positions, ultimately ending Stage 1 in 10th. ● Started 14th and finished 17th. ● The Mobil 1 driver wheeled his way back into the top-10 by the halfway point in Stage 2. 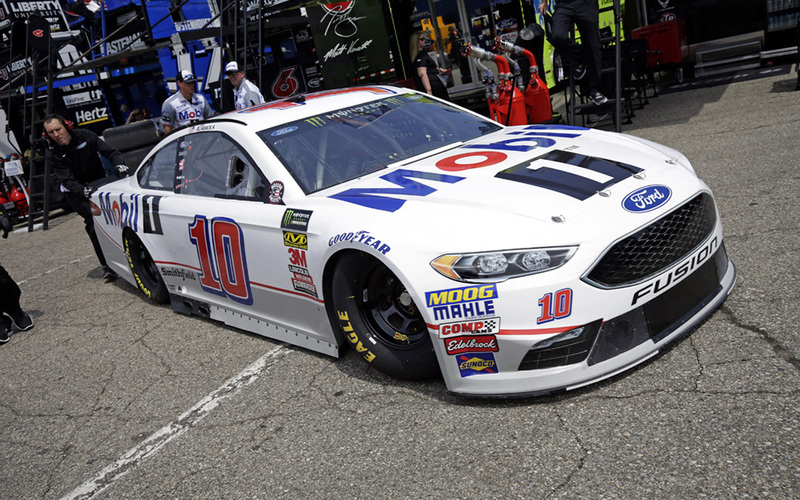 ● Almirola reported a tight-handling condition on throttle as Stage 2 progressed, but he noted the team did make progress on handling from Stage 1. ● The Mobil 1 crew opted to take four tires rather than two during the lap-86 caution period. The first car on four fresh tires was in spot 14, and Almirola restarted 15th. ● Almirola was shuffled back to 17th on the following restart, where he ultimately finished the stage. ● Started 14th and finished 11th. ● Almirola raced his Mobil 1 machine up to 11th by lap 129 before rain began falling and ended the event on lap 133. ● This was Almirola’s 13th top-15 of 2018. ● Almirola earned his best finish at Michigan in 12 career NASCAR Cup Series starts. His previous best result at Michigan was 12th, earned last August. ● Almirola finished 10th in Stage 1 to earn one bonus point. ● The FireKeepers Casino 400 was completed under caution, with rain ending the race after 133 of its scheduled 200 laps. ● There were eight caution periods for a total of 30 laps. ● Twenty-nine of the 39 drivers in the FireKeepers Casino 400 finished on the lead lap. The next event on the Monster Energy NASCAR Cup Series schedule is the Save Mart 350 on Sunday, June 24 at Sonoma (Calif.) Raceway. The race starts at 3 p.m. EDT with live coverage provided by FS1.